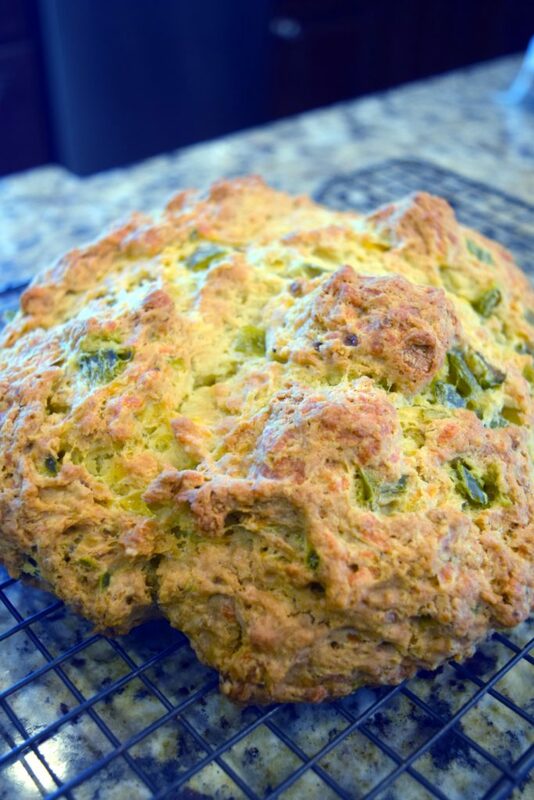 Easy and tasty savory Irish Soda Bread made with Jalapeño and Cheddar cheese. You can also use the base recipe for this for plain soda bread or use other additions. Cut 4 tablespoons of softened butter into the flour mix until the butter is in small pieces. Bake for 35-45 minutes until firm and browned on top. Mine took about 40 minutes.